Spring in the garden. A rhapsody indeed. White Cherry blossoms. Daffodils! Cowslips. Flowering Judas tree. Forget-me-nots. Bright red tulips in my garden! And fritallaria. These were never easy for us to establish in Virginia, so it a joy to see how easily they spread here. We found a few wild ones in our paddock the year we first bought the house, and transplanted them to our main garden so that we could enjoy them more. However, as I walk there this year, I see more, and more. Nature’s munificence tells us something of the goodness of God! 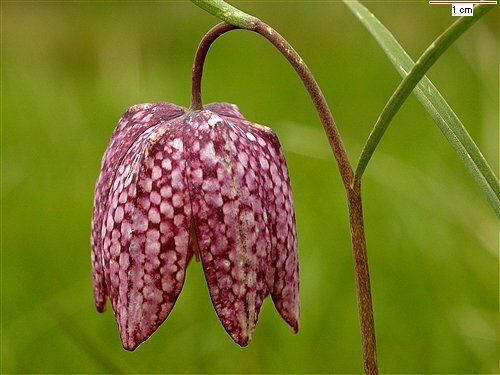 This flower, below, Fritallaria Meleagris, which we have in our paddock is also known as the Checkered Lily or Guinea Hen Flowers, or Snake’s Head Fritillary.